A World Unto Itself...900 acre farm with unlimited potential for farming from crops to cattle to horses to fishing, two homes, all brick ranch and cedar sided cabin overlooking one of the 2 fully stocked ponds(catfish, bass and blue gill), a 6 stall barn with electric and water, 6 paddock areas with run in sheds. Views abound as you sit on the front porch or the back deck of the main house that features 3 bedrooms, 2.5 baths with full unfinished basement including garage. Open interior with greatroom/dining and kitchen. Cabin is 1242 square feet on a crawl space with expansive front porch. Open interior features 2 bedrooms plus loft, greatroom/kitchen and bath. 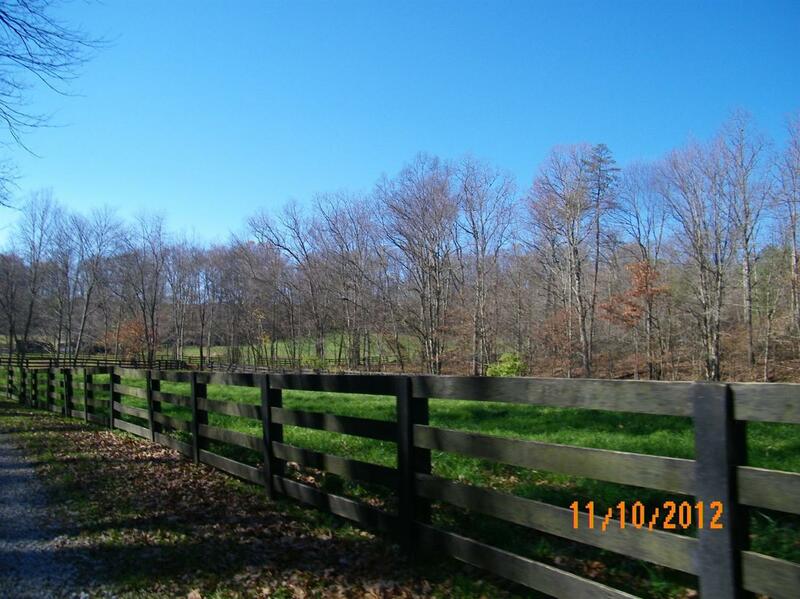 Pastureland, cleared fields and wooded areas feature creeks/ponds throughout. Recent survey on file as well as a Forest Stewardship Plan with current tree count. Convenient to Mt Sterling, Winchester and just 30 minutes from Lexington. Owner financing available. Call for details.